Even rain doesn't stop Sydneysiders enjoying a party. 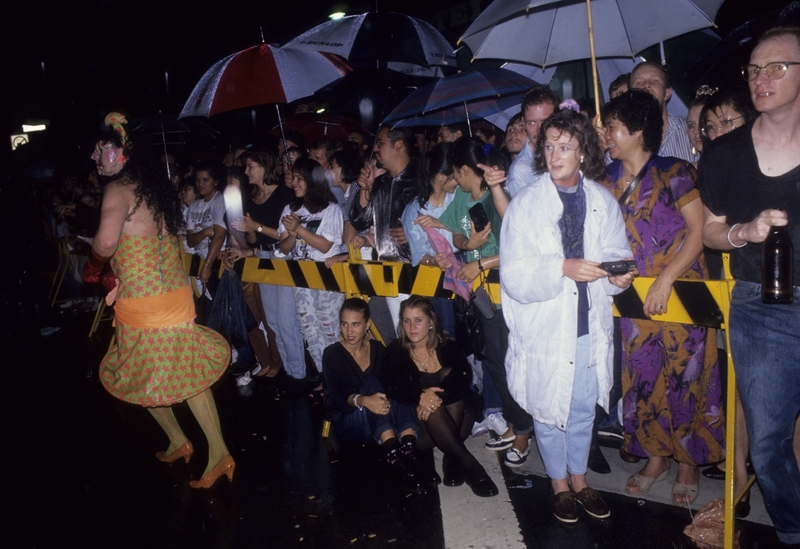 The Sydney Gay and Lesbian Mardi Gras has its origin in a protest march on 24 June 1978 and grew to become a Sydney icon. Renowned for its outlandish costumes and dance music, the parade also has a political tone, with the floats often displaying satirical and witty observations.